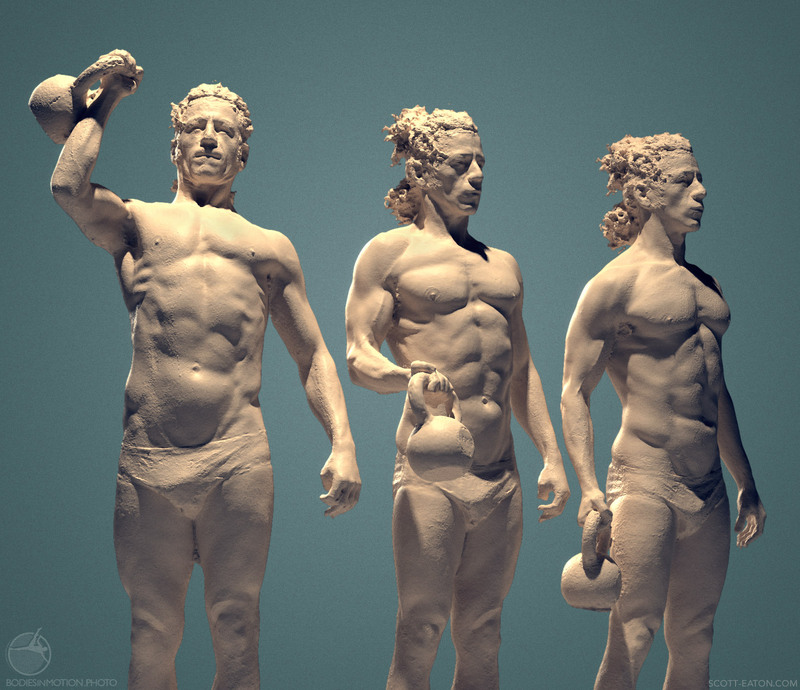 I am excited to announce that we will be releasing the Bodies in Motion Scan library on June 20th, produced in collaboration with Metapixel Studio. The library will feature dancers, athletes, and performers (many of whom you will recognize from your favorite motions) captured in full, sculptural 360 degrees. The Scan library is a perfect complement to the Motion library and makes ideal reference for artists studying the form and anatomy of the human body in motion. People who know me know that I love the art of lighting, both photographically and digitally. I try to accentuate the volume, space, and anatomy of the figure. Even the most beautiful model can look flat and uninspiring when poorly lit, but the same model leaps off the page with dynamic lighting. Over the past couple months it has been my pleasure to light and render each of the scans that will feature on the site. 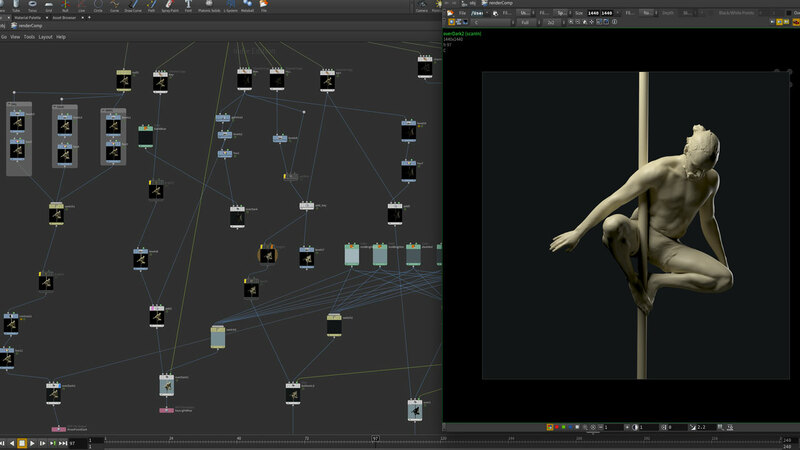 A tiny teaser of my setup is shown below (CG geeks out there will be able to tell what software I am doing this in). I am getting very excited to release this significant update to the site! Scans will be available to Standard and Professional subscribers. If you haven’t subscribed already you should consider doing it while the launch discount is in effect. The sale will be ending with the release of the Scan library so get the 50% off while you can.